Including only players and managers (both former and current) Joel Sked picks the best pundits in Scottish football across the three main broadcasters. Social media has been a force for good and a force for evil. It provides a platform for good and for bad. In terms of football it allows for the sharing of content, sharing of ideas, discussion, passionate debate and argument. It also allows us mere mortals to vent our fury at those players, managers, ex-players, former managers who talk about the game we love, whether it is on Sky, BT Sport, BBC Sportsound or through columns in the Scottish press. Last week was a case in point. Kris Boyd, Stephen Craigan and Jamie Fullarton felt the brunt of criticism for their opinions on new Heart of Midlothian boss Ian Cathro. Some of it over the top, some of it not strong enough, but in the most part it was reasoned and intelligent rebuttal. But let’s stop the gnashing of the teeth, allow our veins to retake their normal place within our neck and see our blood pressure come down to a healthy level. For some it may be hard to believe and not fit in with certain agendas but there is a lot of quality discourse on Scottish football through very good coverage of the national game. So, who in Scottish football are the best for analysis, capable of expressing themselves eloquently, having forthright opinions with substance, while also injecting a bit of humour in to the national game? Despite being a centre back, a no-nonsense one at that, Craigan came across as a placid pundit on BT. That was until Chris Sutton decided to rile him at every possible opportunity. He embodies a lot of what BT Sport do with their Scottish football coverage: positive, outgoing, enthusiastic and knowledgeable. More recently, even before the recent spat with Sutton which went viral, there was an edge creeping in to his punditry. He’s become more feisty. It is no bad thing, but for Craigan it has been detriment to his analysis. He is easily wound up by Sutton and allows the Englishman to get under his skin. At times it is like watching Tom and Jerry. Sutton (Jerry) cunning and teasing, while Craigan (Tom) has smoke coming out of his ears, eyes widening and face red with anger. Without getting himself distracted by Sutton he can provide an astute dissection of patterns of player or information about any of the Premiership teams. His polo necks need to be discarded, unless he is going for the Rick Astley look. Easily the best dressed of the pundits on the list. His range of fitted jumpers is impressive. If he were on social media he’d be hounded everyday until he divulged the make and size of every jumper and shirt he owns. One figure who appears on this list near the top (or maybe at the top) is Marmite. Thompson on the other hand is vanilla ice cream. He is a perceptive analyst and commentator on the radio. He talks with confidence and assurance. Yet his most prominent position is on Sportscene and that is where he falters. He doesn’t have the same aura as others on the list, and reverts to stating the obvious and saying exactly what the viewers are seeing. He does a lot of preparation which is evident but is far too keen to use statistics. They should be used to back up an argument, but Thompson is too eager to show he has done his research and tries to fit them in right, left and centre. It is only a matter of time before Jonathan Sutherland is assaulted by the number 33 – the number of goals conceded by Inverness Caledonian Thistle. BBC Sportsound’s Celtic correspondent. We jest (kinda). 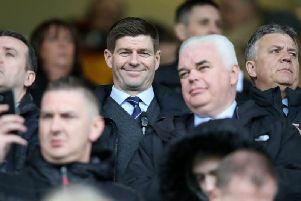 He does seem to be called in often for his former club’s European matches, something which has inspired debate among fans of his current employers Motherwell. McDonald is unique on this list in the sense he is a current player, but is not shy in sharing his opinion. He often offers a different and more enlightening perspective on issues. Certain guests on Sportsound are out of touch with the modern game, but with the addition of the likes of McDonald and Mark Wilson they are bridging the gap. McDonald is one of the best on the show thanks to his direct approach and honesty. He uses his past or current experiences to back-up points, give examples and make it easier for listeners to understand. He is in a good position of having played either side of the border, played international football, played at a high level and is currently undergoing his coaching badges. He has a lot to offer and doesn’t just say what he thinks people would want to here. He has a modern view on diving and supposed cheating within the game, and is definitely one with a big future in punditry if coaching doesn’t work out. The former Hibernian, Dundee, Ayr United, Falkirk, Rochester Rhinos striker offers listeners and readers exactly what a former professional should: insight. He shares a number of the same traits as fellow Sportsound pundit Scott McDonald. He has had a much more peripatetic career than all on the list, and that itself can be more interesting than those who have been at the top level for 15-20 years IF that person can express themselves. McManus can. His blog is fascinating, offering valuable observations on the side of the game you don’t often here about. He takes different themes and explores them with example from his career. Through humour and anecdotes readers can get a much better understanding of football as a whole. He transfers this into his work with the BBC, although he should be utilised much more. The 53-year-old may count himself lucky to place above McManus and McDonald. But such a high placing is down to longevity and consistency. He’s not been seen on our screens much this season, with his last appearance proving a disappointment due to the high standards he is held in. His preparation usually puts him out ahead as he watches and analyses games with a keen eye. Yet, he was unable to pinpoint the fact Faycal Rherras is right-footed playing at left-back when analysing his spate of goal line clearances. But this solitary incident shouldn’t detract from the knowledge and tactical acumen he brings to Sportscene. Last season he was a must-watch on the ‘big screen’ which the show has unfortunately abandoned this season. Nevin would highlight aspects of defending or attacking play and explain why and how they have developed. He amusingly faced the wrath of Paul Hartley for providing a critique of Dundee’s lack of defensive shape. Hartley’s reaction simply reinforced what Nevin brought to Sportscene. The bespectacled former Chelsea winger is intelligent and cultured, and that comes across in his output. A ranting buffoon or an opinionated entertainer? Sutton is Scottish football’s Marmite. He may actually be made of Marmite. He is argumentative, brash and not one to sit on the fence. When he says something he stands by it. When he first joined the BT Sport team it seemed that he would rather be anywhere else than commenting on Scottish football. That or he really enjoyed being miserable. But over time, beside Scottish football’s prized asset Derek Rae, his passion for the Scottish game has grown and he is a passionate champion of football north of the border. Since appearing on our screens he has been highly critical, with Ronny Deila, Mark Warburton and referee Craig Thomson all comically being on the end of a Sutton put down. IT’S JUST NONSENSE! There have been squabbles with Michael Stewart and Stephen Craigan before, during and after games. He was chucked in the North Sea by Craigan, has taken part in a Mannequin challenge, even appeared in a BT Christmas ‘advert’, showing his lighter side, and is engaging on Twitter. When it comes to his views on incidents he can contradict himself and fail to grasp the laws of the game, while he has a habit of over exaggerating situations with grandiose statements. But there is no question he is entertaining. He is a big part of why BT Sport are at the head of Scottish football coverage, and is at his best when being poked and prodded by the questioning of the excellent Darrell Currie. Watch the now infamous Ian Cathro debate with Craigan. There is a twinkle in his eye. He is loving it. And you just can’t not be enthralled by his compelling character. The former Hearts and Rangers winger rivals Pat Nevin for the best on the list for breaking down a game in a tactical sense. He uses his coaching experience as well as his time at the top level to simplify aspects of the game for the viewer. It is unfortunate for Scottish football fans that he is part of Sky’s coverage. Let’s face it, the broadcaster treat Scottish football as a mere afterthought. While BT’s coverage is a three-course-meal at a high-end restaurant, Sky’s is the leftovers at the chippy on a Sunday night. His demeanour and delivery is always concise, clear and you know where he stands on incidents. He is open-minded and looks at both sides of the argument before delivering an assessment. He’s not afraid to speak out against players and managers as seen by a recent situation that Mark Warburton took exception to. Through his work with Sky he covers European games, adding to his breadth of knowledge. Let’s face it. Scottish football doesn’t have a Jamie Carragher or Gary Neville - a figure that is widely respected for their opinions and astute analysis. So top place is always going to be somewhat contentious. Stewart is at home on TV and radio, providing shrewd analysis and comment, whether previewing games, commentating or on Sportscene. Like his BT colleague Sutton, Stewart is divisive and not one to hold back on criticism. If he sees something which is wrong he will let the viewers know, then explain eloquently why his opinion is such. Think back to his astute reading of Hearts under Gary Locke and Billy Brown. He justified his reasoning and was happy to go toe-to-toe with Brown when others would have shirked. Viewers don’t want their pundits and experts to express banal and limited thoughts. He reads the game well which suggests that he could easily have went down the coaching route. Although his irascible nature perhaps put paid to that. Again, like Sutton, a lot of what he says is in his facial expressions. While many will wait with a vacant look spread across their face, Stewart shows his approval or disapproval of a point before he’s even opened his mouth. He is Scotland’s finest pundit.